Fried banana chips are well beloved by people who like crispy chips with a sweet-and-sour taste. Actually, there are mainly two types of banana chips selling in the market, one is Philippines hot air dried banana chips, another is Thailand fried banana chips. The fried banana chips are processed from any kinds of raw banana and through a set of processes such as banana slicing, cutting, blanching, dehydrating, frying, deoiling, flavoring, and packaging. This fried banana chips plant has advantages of one-time investment, low energy consumption, multiple functions, high profits, etc. About the selecting, you can choose different varies of banana, but banana’s degree of ripeness is limited. The under-ripe or green banana could be used for making banana chips. The unripe banana is hard to be peeled. The pre-treating procedure is putting the banana into hot water for cooking 2-3 minutes, the next step is placing the banana into cold water and the pre-treat banana will become much easier to be peeled by hand. Or you can peel banana by a banana peeling machine. 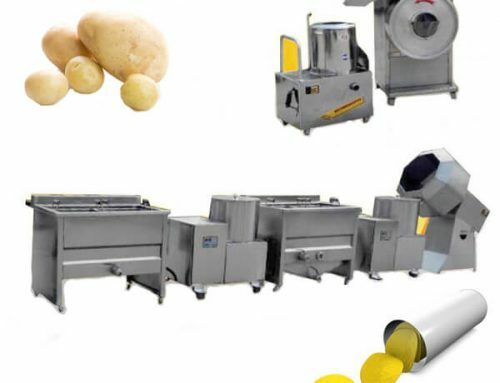 The peeled banana will be sliced by slicing machine with the diagonal cutting knife into banana chips, and the machine’s cutting angle is customized. After slicing, the processed banana chips have a smooth surface without mechanical damage. 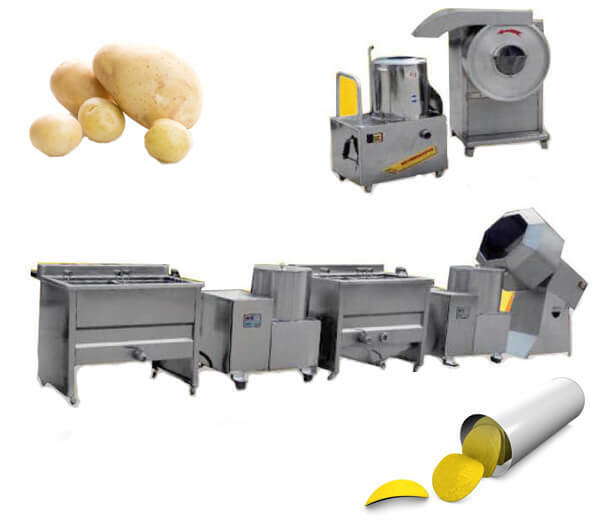 Banana chips slicing machine is regarded as the most advanced circle cutting equipment at present time. ● The slicing machine is equipped with two free feeding inlets of different sizes and the cutting capacity & type is improved. ● The machine has features of easy operation and high yield. The sliced banana chips then will be blanched for protecting banana color and taste. The blanching time is around 20-30 minutes. Blanching can inactivate the enzyme and the banana will have superior color and flavor. ●The blanching machine has features of perfect craftsmanship, simple operation, developed processing technique, etc. ● Two discharging ways: automatic discharging method or manual operation for you can choose. ● The machine is equipped with an automatic temperature control system and it is double insulated around the body. Next, the chips need be dehydrated by TS800 dehydrating machine. 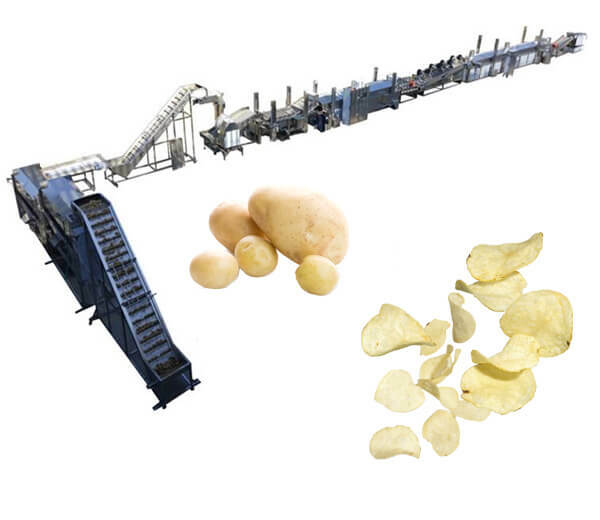 It is tested that chips after dewatering are easier to be fried. TS800 dehydrating machine adopts a physical method of centrifugal dewatering to remove water on the banana surface. ●TS800 dehydrating machine has the shock isolation system and won’t be shaking when working & standing on the ground. ●High operational safety: the machine is equipped with an electromagnetic brake device. 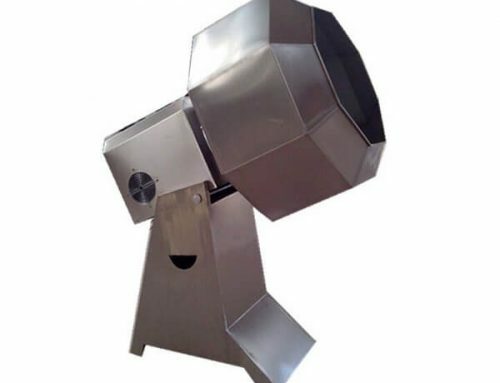 ●It is designed with a digital control panel and entire stainless steel. High automation and long shelf life. 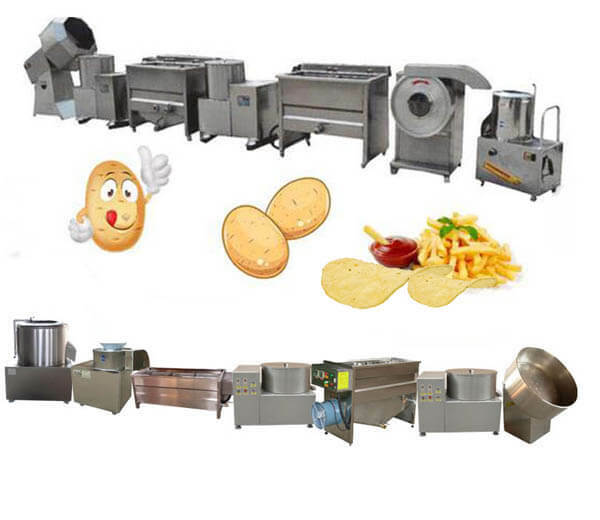 Then, the dehydrated chips will be fried by food frying equipment. This machine has various heating methods such as by coal, electricity, natural gas, and liquefied petroleum gas, etc. Coal heat can be used without limits, the electrical heat is cleaner than coal heat, natural gas is space-saving while liquefied petroleum gas can produce a high power content. People can choose their favorite heating ways among the four types. ●The frying machine is used oil-water mixing technology to realize automatic filtering residue, thus the oil can be fried in a long time and won’t become turbid. ●Three models: automatic discharging machinery, automatic discharging production line, and manual method. ● The temperature is adjustable automatically from 0℃ to 260℃. ● The machine is environmentally friendly and won’t produce smoke. ● It is energy-saving, it is examined that this machine can save 50% oil, 40% electricity or coal than the ordinary frying machine. The fried chips will be through deoiling to remove the excess oil on the banana. The deoiling machine has the same centrifugal principle with dewatering machine, the oil is removed by high rotating in the barrel. 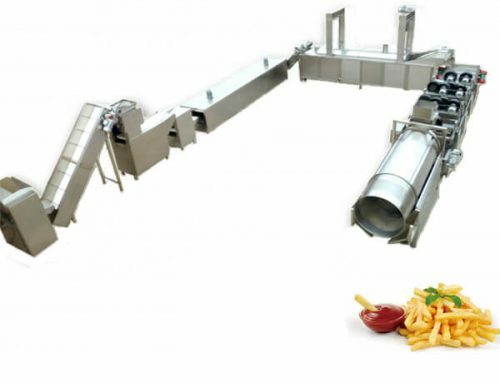 Food deoiling can reduce transportation cost and prolong shelf life, the deoiling machine is widely applied in removing oil of banana chips, potato chips, fried peanuts, fried beans, fried meatball, etc, often match with food frying equipment. ● Deoiling time is adjustable by the digital control device. ● Equipped with electromagnetic brakes, safe and high yield. ● Reduce the oil loss. 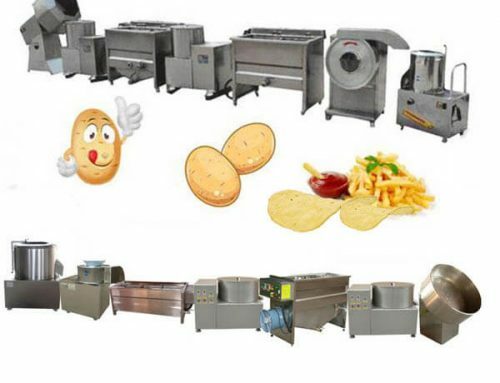 Customers can choose to add more flavor into banana chips, the BL1000 disc banana chips flavoring machine has an attractive look and effective output, which is suitable for seasoning chips, fries, instant noodles, broad bean, various puffed food & spicy food in small, medium food processing factory. 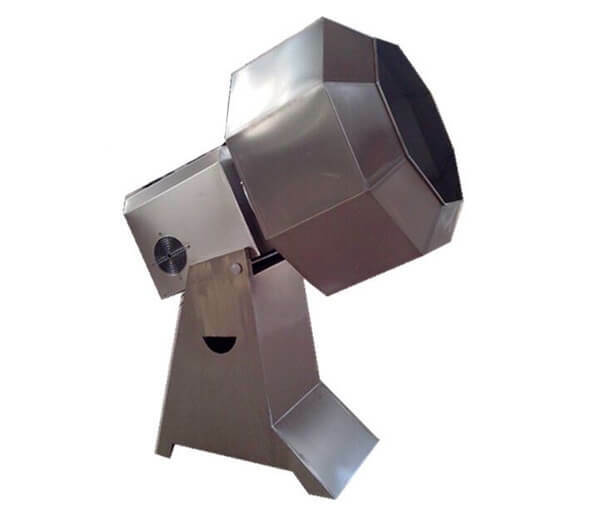 ●The machinery is made of entirely stainless steel, environment-friendly and long service life. ●The disc design applies to a uniform flavor. ●Low rotating motor won’t damage the fried banana chips. Packaging can improve food’s storing time, under sealed or vacuum conditions, food’s flavor and quality won’t be destroyed. DZ-600/2S packaging machine has both vacuum sealing way and nitrogen filling way. Besides banana chips, DZ-600/2S vacuum-nitrogen packaging machine has packed various puffed food, fried food, seafood, drug, chemical material, etc. ●Two working rooms for packaging capacity has been doubled, which is suitable for large scale products’ sealing. ● Wide range of packing: solid, liquid and powder. ● DZ-600/2S packaging machine can realize both vacuum packing and nitrogen sealing. 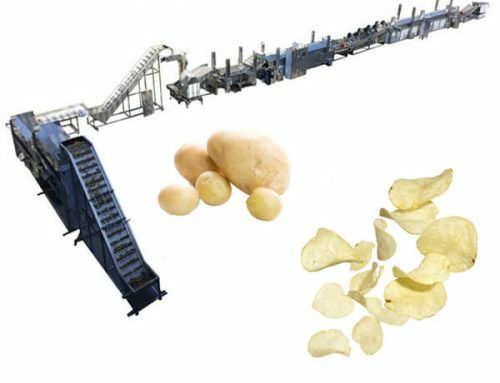 Banana chips, potato chips are suitable for nitrogen filling and sealing, while seafood, meat is better to be packed in vacuum condition. 1. The business location for selling banana chips should support a certain sales volume every day. If you want to sell to the end customers, you can consider the local supermarket, park, pedestrian street, club, etc where people have demand for banana snack food. If you want to sell to the shop store, hotel, the price needs to be lower for the margin is considered to be made for store owners. 2. The preparing area should include processing place and storing place. Please note: the manufacturing area must keep clean and sanitary. 3. About raw banana buying, you can buy the fresh one from the farmer but the distance should take into account. 4. You can get the business license from the local government and start a business as an individual proprietor or partnership. 5. Other costs such as renovation cost, monthly charges for water and electricity and the rent need to be in the plan.